WATCH: Dream Kardashian Walks For The First Time On Social Media — For Chicken Nuggets! Dream Kardashian will walk if chicken nuggets are involved. 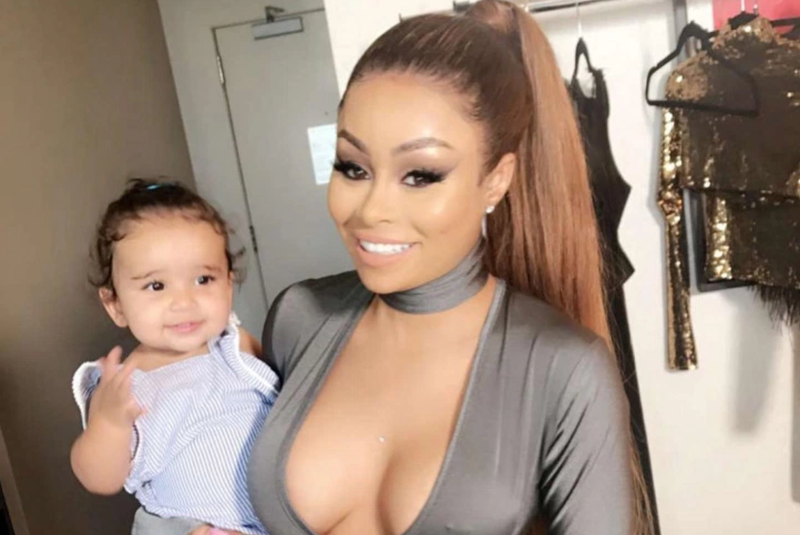 The 11-month-old adorably balanced on her feet and took some wobbly but determined steps to catch the nugget held out by her mother, Blac Chyna, who also documented her baby’s first social media steps on her Snapchat on Sunday. “Dreamy! Dreamy! Dreamy!” Chyna said as she held the chicken nugget aloft for her daughter who slowly walked toward it while wearing a light pink dress and white tights. “Go! Go! Go! Yeah! Yeah!” her mother continued, encouraging Dream. The tot – whose father is Rob Kardashian – did her best to reach the chicken treat before the little girl stumbled to the ground. Chyna, her daughter and 5-year-old son, King Cairo, were enjoying their Sunday with a breakfast of eggs, hash browns and ketchup. The reality star also shared a video of her son playing with a small pole while his sister looked on while sitting on the floor. Dream recently celebrated Halloween dressed up as Raggedy Ann. The little girl wore the beloved character’s signature red yarn wig along with a white dress and a red and white, striped stockings. In the pair of photos, “Dreamy” sat holding a cell phone with a small pumpkin in between her legs.